Kathrin Altwegg and her team have discovered the building blocks of life on a comet. This can be evidence for a theory about how life on earth arose. One and a half year ago, space probe Philae landed on a comet. To be specific, comet 67P/Churyumov-Gerasimenko. 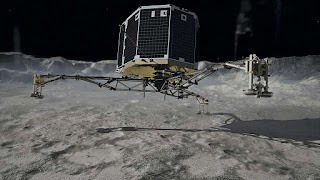 This was the first time space engineers landed something on a comet. It wasn’t a perfect landing, however. The probe bounced of the comet a few times, because there isn’t much gravity to pull the lander down, since the comet is very small. Fortunately, the engineers managed to secure it, although the lander ended up just behind a mountain, making its solar panels practically useless, because of the shadow. This made sending data to earth very difficult for the probe. But after many struggles, it has made an interesting discovery. Philae has found the building blocks of life in the tail of the comet. The lander has found amino acids, that make up proteins, like Lego blocks make up a Lego house, which are essential for life. But also phosphorus, which is a component of, among others, ATP, a chemical which is very important for managing the energy levels in your body. These building blocks alone don’t make life yet, of course. But these amino acids and phosphorus can tell us something about how life on earth arose. The panspermia theory is strongly supported by this discovery. This theory states that these building blocks of life were formed in space and after that become part of the nebula around the sun from which earth and the other planets were formed. Later, the amino acids, phosphorus and other chemicals would rain down on the planets, and delivering the building blocks to the planet. Since earth had a good environment for life, so one thing led to another, and life on earth arose. There is, however, no way to know for sure that this is the correct theory. There are many theories about how life arose, both scientific and religious. 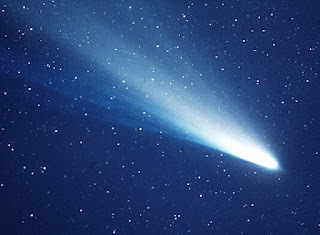 But this discovery really supports this the panspermia theory.